Thank you to everyone that came out to the inaugural T.R.I. this weekend. It was a fantastic event and all of that is due to the fantastic people that helped put it together. I promise I tried to make this short, however I failed. First off thank you to Lucia Sevick for organizing a large amount of the event from bringing in volunteers to getting the table rented. Her experience with running events and getting all the little and big things checked off was amazing. T.R.I. wouldn’t have happened this year without her. A huge amount of gratitude is owed to Texas Workforce Commission and FIRST in Texas. Their finical support allowed us to put on this event and remove the entry fee for teams. Thank you for all you have done for FIRST in our state, we truly appreciate it. Mary Jo Maciejewski & Dominic Baula are two new teacher mentors on Spectrum this year and they led the school and facility side of planning and operating this event. Thank you so much for everything you did to make TRI a success. Also, thank you toStrake Jesuit College Prep and their facilities department for working through all our requests and helping put on a great event. T.R.I. was a success largely due to the great volunteers we had working the event. 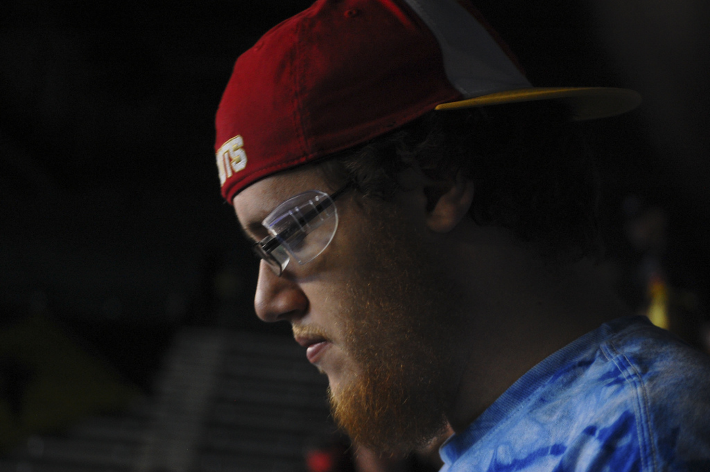 Chris Culbert didn’t really have a set position at TRI, I’m not really sure if he does at any event but he is always solving problems and working to give teams, students, and volunteers a better experience. Thank you for everything. Judy Bryant (57) was our lead at pit admin as she is at the Lone Star regional and numerous other robotics competitions throughout the year. Cecilia Cisar was helping her out at this event as well. Thank you for all that you do for the teams and keeping that part of the competitions running so well. Thank you to our referees at this event, they were Rachel Smith, Alan Cisar, LaQuinta Parker, Scott Rippitoe(1477), & Robert Oakley(1477). They had a number of people helping them scoring each match including Spectrum alumni, parents, and volunteers from team 3103 Iron Plaid. We had a phenomenal field crew at TRI. Led by Mark Koors who made the trip to Texas to FTA our event and see how the new AM field perimeter would work out. AndyMark sent along Brett Heininger and Connor Forbes with the field who were awesome the whole event. FTAA for TRI was Aaron Graeve, a 1477 alumni, who has been a staple at Texas events this year helping to fix problems all over the place. Dave Cheuvront and Eldon Jackson were charged with keeping the field and the field reset crews working efficiently and they did a wonderful job of that as always. Scott Eddy and Fran Goundry(3103) were operating the scoring table for the event, and they even managed to work through our crazy elimination alliance selection process, I’m sorry and thank you. The TRI field reset crew included members and alumni from 1477, 3103, & 3847. Paul Johnson(1429) was our MC and Game Announcer and he had a difficult job doing both tasks and keeping things moving. Thank you for your hard work. Luis Medina(118) and The Robonauts ran the video, web stream, music, and a whole host of other things for the event. Thank you & it’s always great working with you guys. Nothing was really going are way in the morning but we came up with creative solutions to our problems. Next year we’ll get song selections for every team, instead of just the ones we think of on the spot. Mrs. & Mr. Mendoza, Mike Outlaw (624), David Stoltz, Jim McAuliffe (3847) handled our queuing responsibilities making sure that teams were on the field and ready to play all day long. During eliminations half the time we didn’t know which alliance was supposed to be red and which was blue and we even switch bumpers mid round once but we got everything working and the matches that needed to be played were played. Thank you for your hard work. Thank you to Lana & Steve Henderson(624) for getting the radio kiosk up and running and all the teams ready to connect to the field. We had three safety advisers on hand for our event. Marilyn Cisar, Robert Tinker, & Steven Treese(624) kept everyone safe at the event and I happy to report we had no major injuries at this event. I want to thank all of Texas Torque (1477) for their help setting up and tearing down the field both processes went so much smoother having you all there. Mr. Ball, Chase, London, Domino, Robert, Matthew, Aaron, Scott, and the rest of the way to many of you for me to name right now, thank you. I want to thank all of the students and parents on Spectrum that spent the last few weeks preparing for this event. Concessions were led by one of our parent volunteers Teresa Smith and a number of parents and students who did an awesome job. There are a ton of little details that make events run well and they wouldn’t have happened without you all. From making driver and volunteer badges, programs, signs, and a whole host of other things. Thank You. Lastly I want to thank every team that choose to come to our home and play robots with us. Some of you had very long drives (3741 Grulla HS had a 5.5+ hr drive) to come compete, thank you for making the journey. We had 3 pre-rookie teams (Pearland ISD, Katy-Taylor, & Katy-Tompkins) and I have heard they all had a great experience working with the veteran teams and working towards building strong programs for this coming year. Our goal for this event was to build the community we have in Texas and give more teams experience to help them in the future. I hope each team was able to use this event to build their programs, train drivers, make new relationships, and learn. I am sure I missed people but we are truly grateful to everyone that helped put on this event. Thank you all for coming, we had a wonderful time, and we can’t wait for next year. We’ll be sending out a team survey in the near future but most importantly please let me know how we can improve. 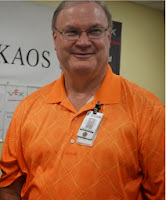 We would love for you to attend the inaugural Texas Robotics Invitational on June 21, 2014, in the Strake Jesuit Competition Gym, 8900 Bellaire Blvd, Houston, Texas, 77036. There will be 32 FIRST® Robotics Competition (FRC®) teams participating in the event, planned and organized by Spectrum, the FIRST Lone Star Regional Committee, and Houston area teams and volunteers. The teams will be competing in AERIAL ASSIST®; an FRC® game that challenges teams of high school students and engineers to build a robot that can autonomously launch large exercise balls into goals seven feet high while under the control of student drivers. Each match pits two alliances of three teams against each other. The alliances must work together to earn the large point bonuses earned through teamwork. Each alliance must move the balls down the field while also attempting to slow down the offense of the opposing alliance. The event consists of qualification matches that are played with randomly assembled alliances. The teams who exit the qualification rounds in the top eight are designated “alliance captains.” The alliance captains then select their partners to play with in the elimination matches held in the afternoon. Each alliance is also given a randomly assigned fourth partner that completes their alliance. All 32 teams will be playing in the elimination rounds. 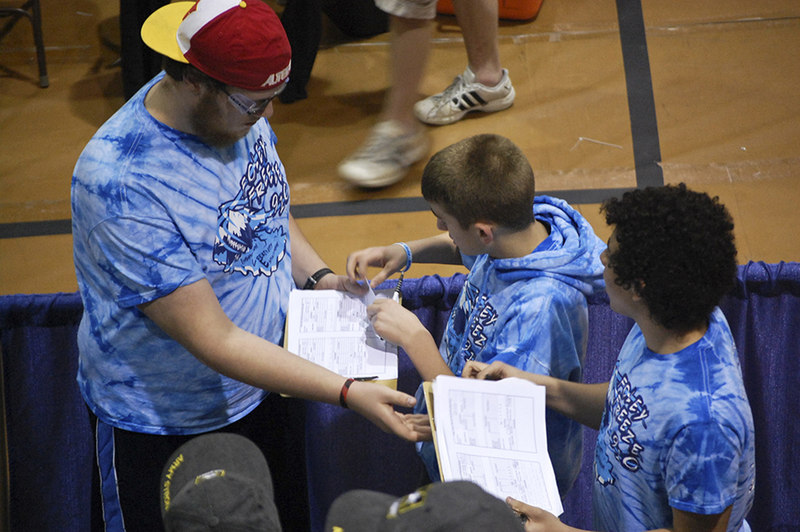 The goal of this event, with its unique alliance selection process, is to promote cooperation among teams and to strengthen the community of Texas FRC teams. In addition, T.R.I. gives teams more play time and provides an opportunity to practice competing on a real competition field. 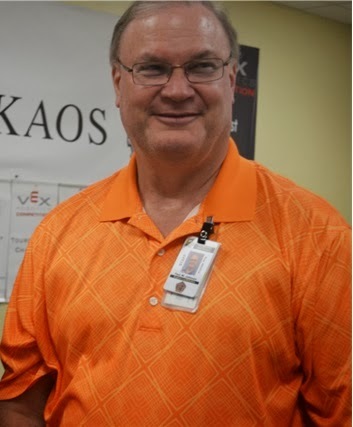 This event is free of charge to all invited teams and has the generous support of the Texas Workforce Commission, FIRST in Texas, and the FIRST Lone Star Regional Committee. The event is also free and open to the public and press. This is a great event for children of all ages to learn about robots and the fantastic STEM programs that exist around Texas. Spectrum is the engineering team from St. Agnes Academy and Strake Jesuit College Preparatory. This week we worked with two groups of girls and taught them to program Lego robots. On Monday night we worked with local American Heritage Girls in our lab and helped them on their way to earning their Engineering Badge. This morning we took our show on the road to Houston Baptist University to help Girls Inc. of Greater Houston at their Camp SMART. Ted Talks: How synchronized hammer strikes could generate nuclear fusion.